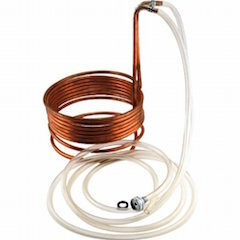 Brewer's Best Immersion Wort Chiller, 20' It is essential to cool your "wort" down as quickly as possible to avoid chill haze. Not to mention the quicker you cool and pitch the yeast the less chance of contamination. This is one of those "must have" items in your brewing arsenal.